Thinking of treating your children to a bedroom makeover? 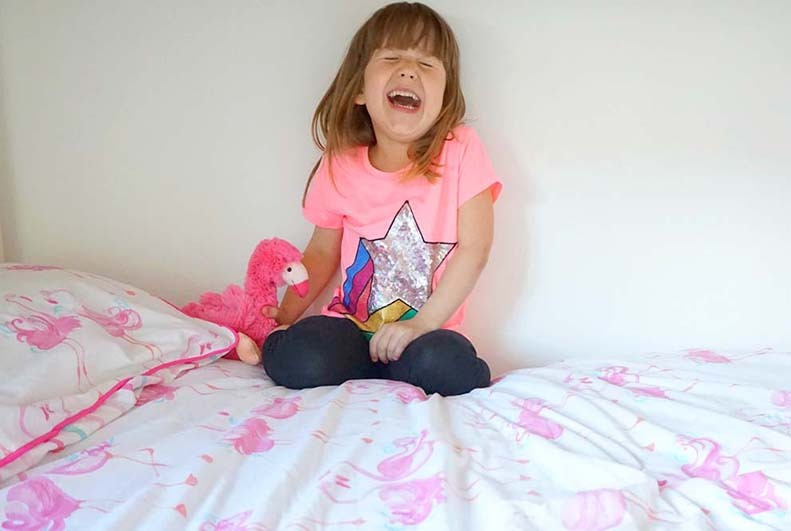 Well, Heledd from Running In Lavender takes us inside her gorgeous girl’s flamingo inspired bedroom to help give you some inspiration. We moved into our house five years ago but are still decorating one room at a time. 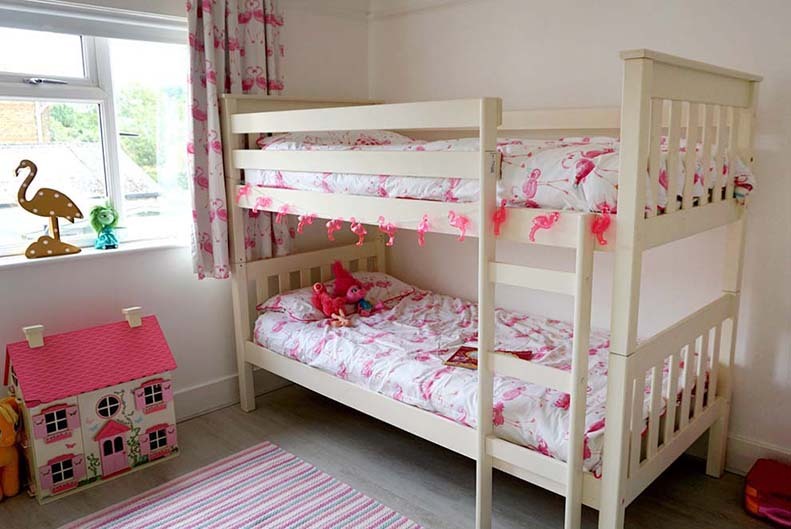 Our most recent project was the girls’ bedroom (Lili seven and Poppy four). We literally had a blank canvas to do whatever we wanted. Initially, this was very exciting but we soon realised that my vision was very different to what the girls had in mind. Also, Lili had different ideas to Poppy – one wanted a pink room, the other wanted turquoise and I had a summer theme in my mind. 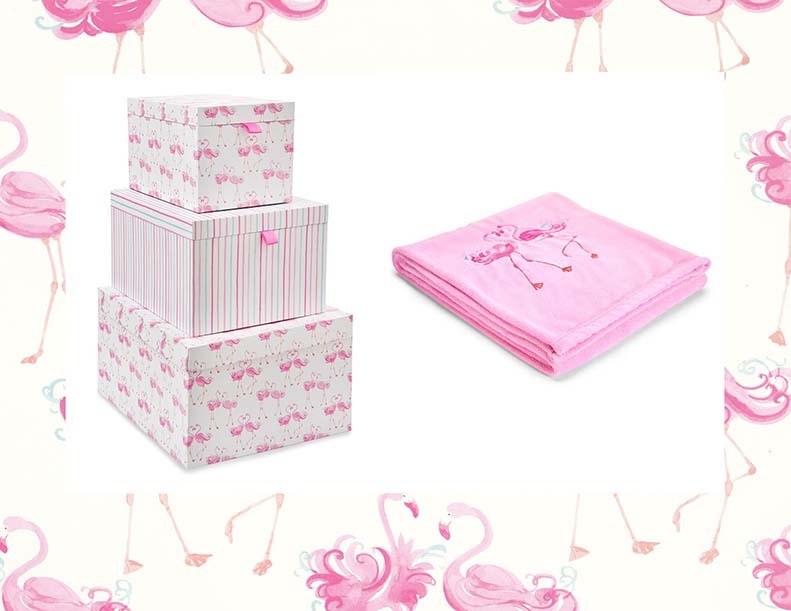 I thought we’d never find a solution but then I spotted a trend on the high street for flamingos and it was the perfect answer. They’re not too young, they’re pink but not too pink (I knew we could mix in the turquoise element) and they’re a summary bird that makes me think of hot climates and holidays. It really was the ideal compromise. After a quick search online I came across this perfect range on the Laura Ashley website, which was bright, trendy and exactly what I had in mind. It literally ticked all the boxes. 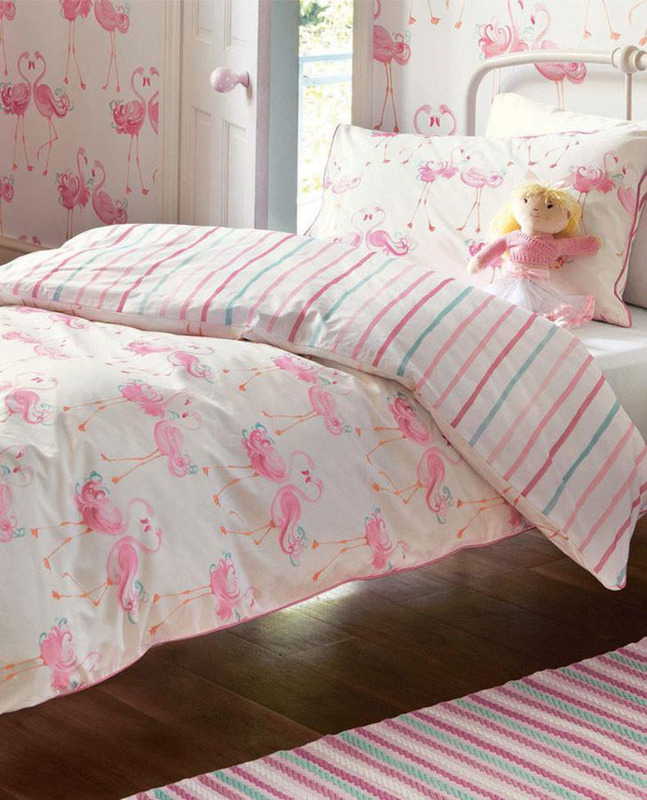 The Pretty Flamingo range included; wallpaper, bedding, curtains, fabric, and even storage boxes. As soon as the girls saw the print they both smiled and (at last) agreed on a theme. 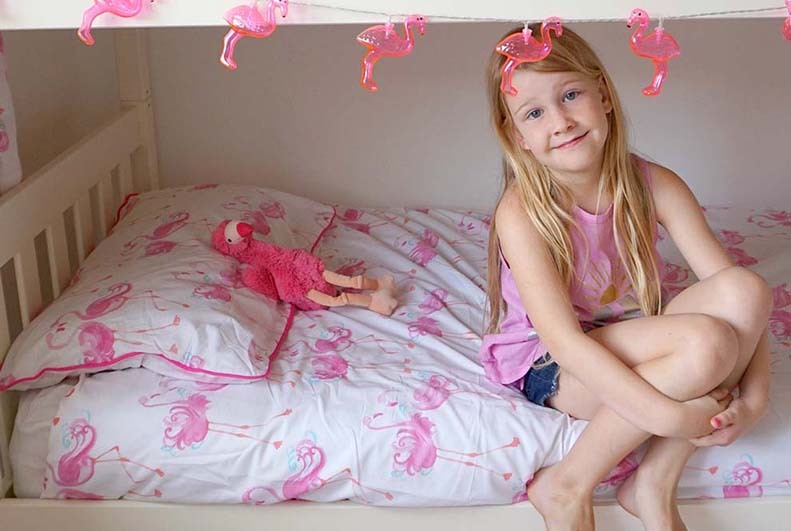 They both liked the flamingo idea for different reasons, Lili liked that it wasn’t princess or fairy themed, which she now feels too old for (excuse me while I have a little sob) and Poppy liked the flamingo theme because in her words “they’re pink and really pretty”. On a personal note, I like the fact that this room is girlie without being too girlie – if that makes sense? And it’s a scheme that won’t date or be too childish for the girls as they grow into tweens and teenagers. The girls and I are so pleased with the end result, it looks bright, colourful and above all fun. We chose the bedset and curtains but I may also add the storage boxes and this adorable throw! This entry was posted in Favourite Posts, Kid's Corner and tagged Bedding, childrens bedding, childrens room, childrens wallpaper, curtains, daughters room, flamingo, flamingo print, flamingos, fleece throw, girls room, kids bedding, kids room, kids room curtains, kids wallpaper, laura ashley bedding, laura ashley curtains, laura ashley fabric, laura ashley wallpaper, Ready Made Curtains, room makeover, running in lavender, storage boxes, twin bedding, twin bedset. Bookmark the permalink.